A non-profit organization which is made up of volunteers from businesses, schools, churches, community organizations, and beyond; Meals from the Heartland packages non-perishable meals year round for delivery to malnourished people in Iowa, across the United States, and around the world. 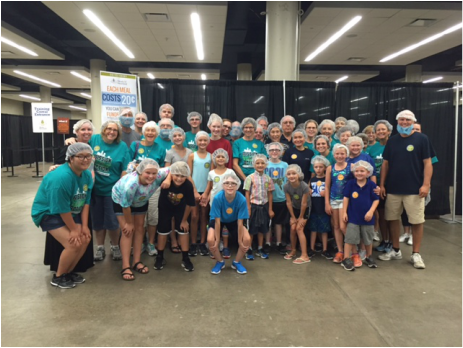 For the past few years, congregation members of all ages have participated in the Annual Hunger Fight by packing meals for two hours of assembling the dry meal packages at Hy-Vee Hall in downtown Des Moines. 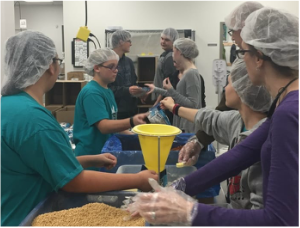 Our youth group packages meals at open packaging nights twice a year, once in the fall and once in the spring, at MFTH's warehouse in the Valley Juction area of West Des Moines. 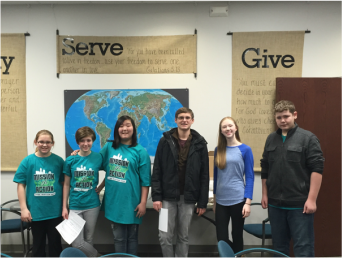 Email the church office for details on our next packing event at church@wdmcovenant.org. To learn more about MFTH, visit their website at mealsfromtheheartland.org.